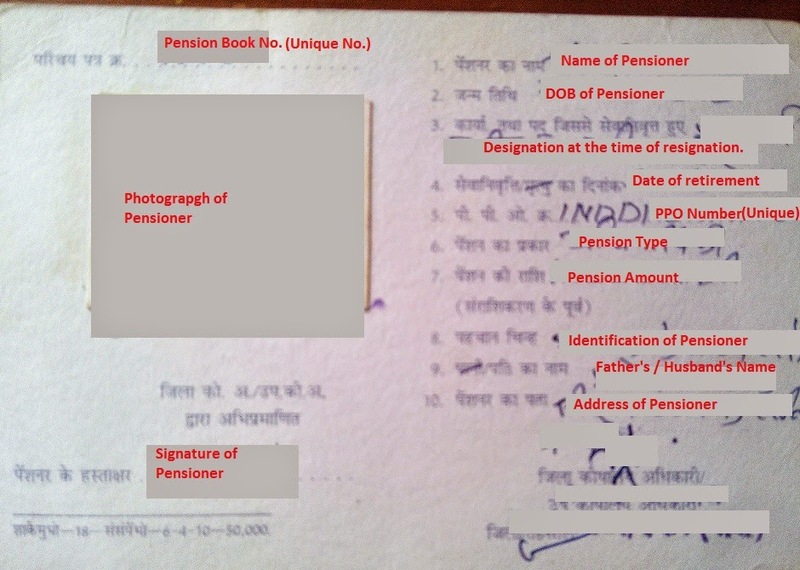 How To Fill Pensioners Life Certificate Form For Retired Senior Citizens? Finance Guru Speaks: Come the month of November, Pensioners have a big worry to submit Pensioners Life Certificate every year to the Pension Disbursing Authority. This article provides you details on how you can fill Pensioners Life Certificate. 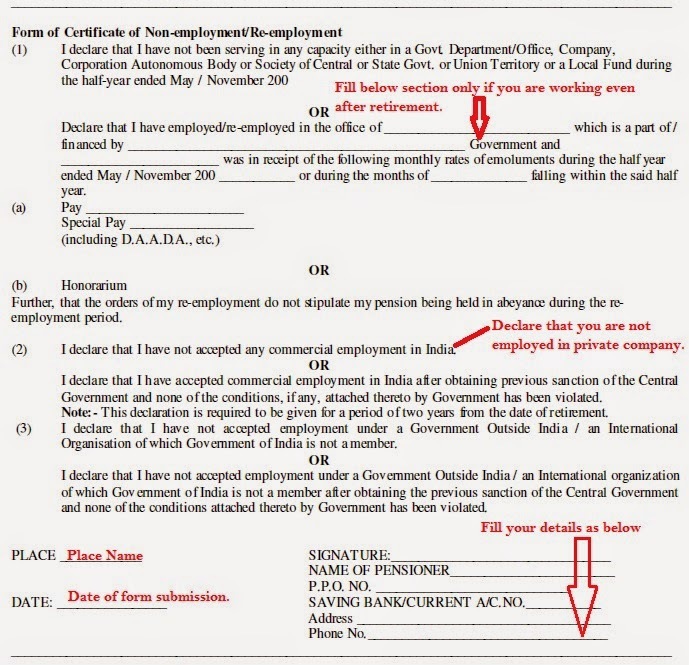 The filled form shown in this article may slightly vary in formats depending on Central Govt. or various State Govts. but my attempt is to make you aware about the basics of this form. All the Retired People, eligible for Government Pensions have to produce duly-filled Life Certificate document in front of the Govt. Bank or Govt. Agency (like District Collectorate Office) where their Pension Account is operating. The bank or Govt. Agency are here acting as Pension Disbursing Authority (PDA). They need to mandatorily produce this Certificate every year in the month of November so that they can get their monthly pensions smoothly. In other words, this activity has to be done once in a year (on every November). The intention of producing this life certificate is the annual identification infront of PDA. 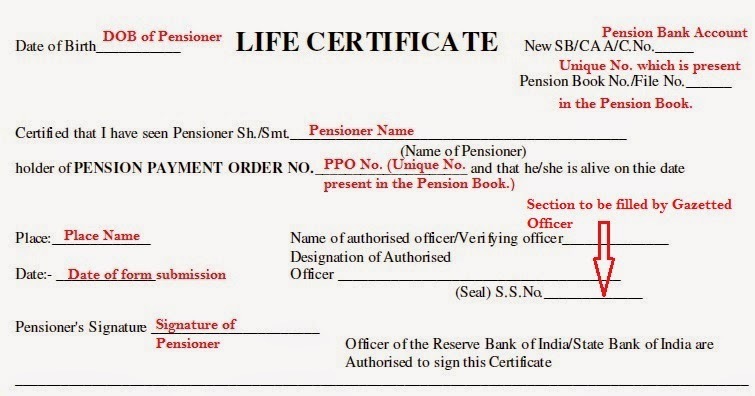 Note: If you fail to produce this life certificate in the month of November, then your pension may stop from next month (December) onwards. I have divided the Form into 3 sections for illustration purpose. This is important section and is the proof that Pensioner is alive on the day when the form is getting filled in November month. This section is verified by a Gazetted Officer. Note: PPO No. stands for Pension Payment Order No. It is a unique no. allotted to each pensioner. Please share this article over social networks. 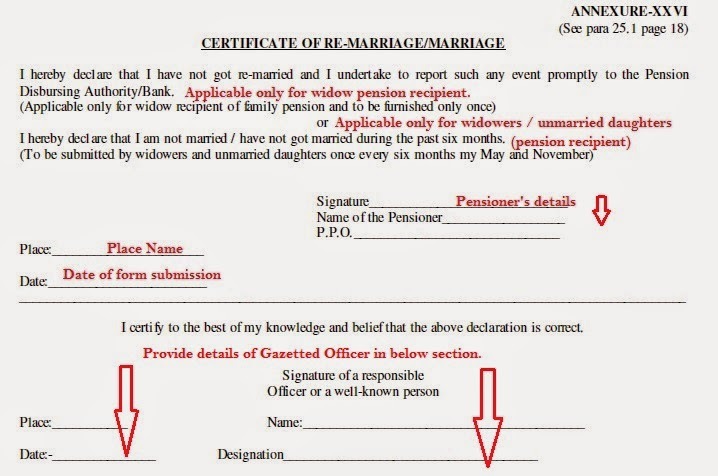 How to obtain form 16 for pensioners?